Why is a financial statement translation so expensive to get? / business / Why is a financial statement translation so expensive? Why is a financial statement translation so expensive? Financial statement translation is a process by which an organization translates the financial statements of a foreign division in the company’s reporting language to make the consolidated financial statements of the parent company. Accounting standards require that the financial reports of multinational companies must include the results of their foreign entities, thus, at every reporting time; the parent company must translate the financial statements of subsidiaries in other countries into the parent company’s reporting language. Is financial statement translation expensive? Why? Financial reports, merger & acquisition material, compliance documents, price sheets, and corporate communications… Each of these pieces is very different compared to the likes of marketing material or technical manuals, and each type of document poses its own challenges. The original files may be delivered in various formats, such as Word, Excel, PDF, In Design, and all of these will process differently to translate correctly. 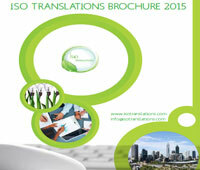 Translating specific terminology, and doing so consistently, is a vital challenge in the finance business. To be able to translate financial statements, the translator must have an in-depth understanding of the precise terms that are applied, and not just in one country, but in two or more. To retain consistency, it is also essential that these terms are translated in the same way across different documents quarterly, and annual reports must use the same words. One thing is to ensure terms are translated consistently, but when it comes to financing – figures are fair. You can’t randomly move, remove or insert numbers when it comes to translating financial statements, or the whole document could be interpreted wrong. It’s also necessary to count how dates, decimals, and currencies are managed in diverse countries, and to assure compatibility of procedure throughout the document. Often in the financial world, reports need to be published as soon as they are issued, and this can only expect one thing for translation agencies – high amounts of work to be turned around very fast. Annual financial statements and reports usually have fixed release dates, so this can put pressure on translators to work fast to meet strict deadlines. It’s important to acknowledge the calendars of financial firms and to plan following this. Finance companies usually deal with secure information, from both their clients and from their business. If financial statements require being translated before they are delivered, Language Service Providers need to handle this information confidentially. At ISO Translations, all our professionals working on the projects sign Non-Disclosure Agreements to assure data protection. The process documents are managed should also be as secure as possible. Rather than sending non-encrypted emails containing sensitive information to linguists, we have a reliable, and trustworthy translation management system in place to ensure that documents can be uploaded and downloaded, but remain safe within the system. 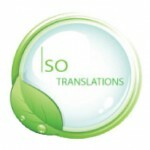 At ISO Translations we make sure we meet your needs regarding financial statement translation, including cost, quality and time, but also concerning security.